This is one of our favorite photos in Tasmania, taken through the glass of the living room window as the sun began to set. 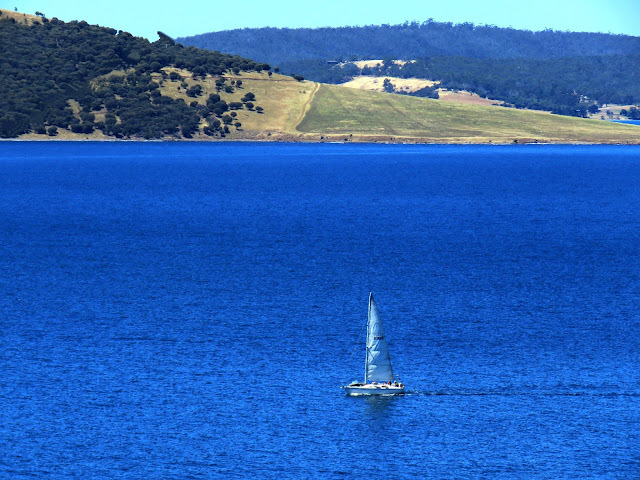 By the time you see this post, we'll be on our way to Sydney, flying from Hobart International Airport. Upon arrival and after a 25 minute cab ride to the pier, we'll immediately board the ship, Celebrity Solstice, a ship on which we've sailed on two prior occasions over these past years of world travel. Boats in the river channel on a cloudy day. We've loved this particular ship on the past sailings, especially the Cafe Al Bacio, where we'd sit each morning while I prepared the day's photos and post while we sipped on the most delicious coffee we'd had on a ship. Church located outside of Geeveston, Tasmania. Now, that I've given up caffeine, coffee and tea (due to the acidity), for the time being, its going to be tough to resist but I have no choice. Instead, I'll focus on having fabulous conversations with guests while they walk by as we lounge in the cafe. After a big rain helicopter blades dry the cherrry orchard across the road. We plan to get off the ship at a number of ports of call in countries we've yet to visit. We'll be staying aboard the ship when we arrive in two different ports in Fiji. Right now I'm associating Fiji which we enjoyed at the time with having contracted this awful digestive issue while there for four months on two different islands. A calf nursing an almost same-sized mom. Yesterday, by noon, we were almost completely packed less the items we were wearing, with fresh clothing set out for today's travel day. We weighed our bags and each of the three bags weighed slightly less than the 23 kg (about 50 pounds), the maximum allowance for the two free checked bags with Virgin Australia. The charge for the third checked bag is AU $70, US $54. That's fine with us! Also, we were able to eliminate one of our carry on bags, the duffel bag which we've hauled with us since the onset of our travels. It been loaded with jeans, shorts and cargo type pants too heavy to place in our checked bags. Calla lily in the garden. On the last cruise we purchased a new carry on wheeling bag easier to manage than the duffel bag which had impossible wheels to manage. Instead, Tom ended up carrying it by the strap. My new black carry on bag has the capacity to fit our "pill bag" (includes prescriptions, emergency medical supplies, Epipens and a few over-the-counter products) plus all the jeans and pants. Decorative item they'd puchased in Africa shown at the entrance to Anne and Rob's garden. I'd always carried the pill bag while Tom insisted our carry the heavier Costco bag, the duffel bag and the computer bag. Now, we're down to two carry on bags, one each, since I don't own or carry a handbag. This will make a huge difference for us making our way through airports. No longer do we need or use the metal cart we carried in the beginning. Huon River from the front lawn. We were able to fit the Costco bag into one of the checked bag along with the cloth Africa bag and one small insulated bag, all of which we use in every country for grocery shopping. They add less than one half kg (1.1 lbs) to the checked bags. In all, we have five pieces; three checked and two carry on. This is the lightest we've been since day one. As mentioned, below is our chart of total expenses for the six weeks we spent in the Huon Valley of Tasmania. To see the final expenses for Penguin, Australia, please click here. Wood carvings with historic themes are found throughout Tasmania. These costs fall into the mid range for our vacation/holiday home living comparing them to all of our past expenditures. 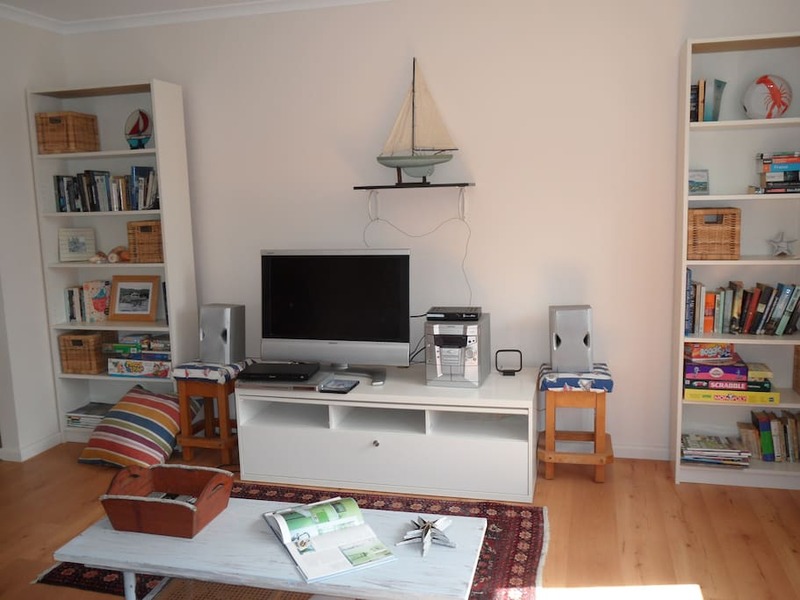 We stayed within our budget of AU $7,807, US $6,000 per month and thus are pleased with the result. Of course, adding cruises to holiday home living has quite an impact on annual total costs. Next time you "hear" from us, we'll be posting from the ship at the usual time other daily posts are uploaded. See you soon! It was one year ago today that we lost our dear friend Richard, who made our four month stay in Kauai an absolutely glorious social stay on the gorgeous island. We'll always miss him and his dear wife Elaine. Please click here for details. Review on Huon Valley holiday home with many photos...Two days and counting. View of a small portion of the Huon River from the lawn of the rental in Castle Forbes Bay. 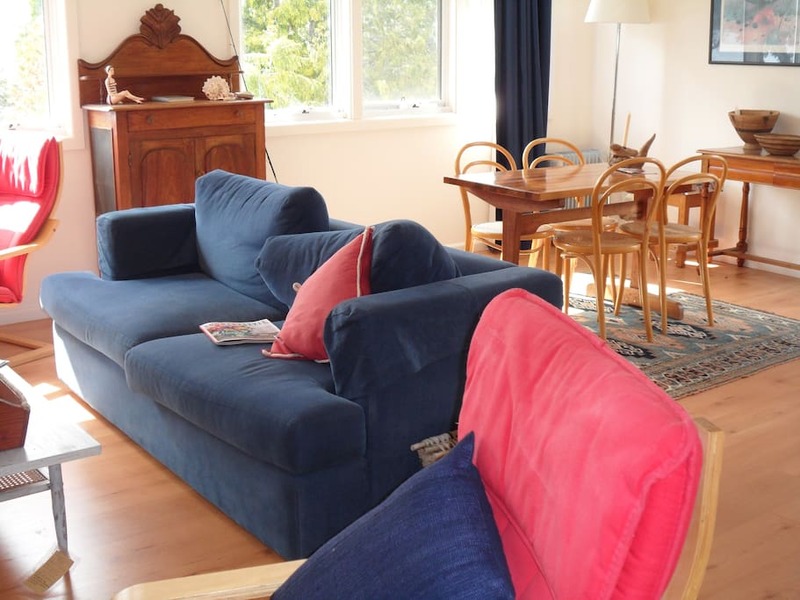 None of today's photos of the property we rented for six weeks in the Huon Valley are ours. We "borrowed" them from Anne and Rob's listing on AirBnB, found here. We'd have taken photos but with packing in full force, the house is somewhat cluttered. In 48 hours we'll have arrived at the Hobart International Airport for the less than two hour flight at 10:10 am to Sydney. Shortly after 12:00 pm we'll arrive in Sydney and take a taxi to head to the Overseas Passenger Terminal in the Sydney Harbour. Once again we'll embark on another cruise in the South Pacific. View of the property from the river. So far, including Wednesday's cruise, we'll have sailed on six cruises in the South Pacific in this past almost two years. With one more cruise remaining at the end of April, in 54 days we'll sail from Sydney to Seattle as we make our way back to the US. 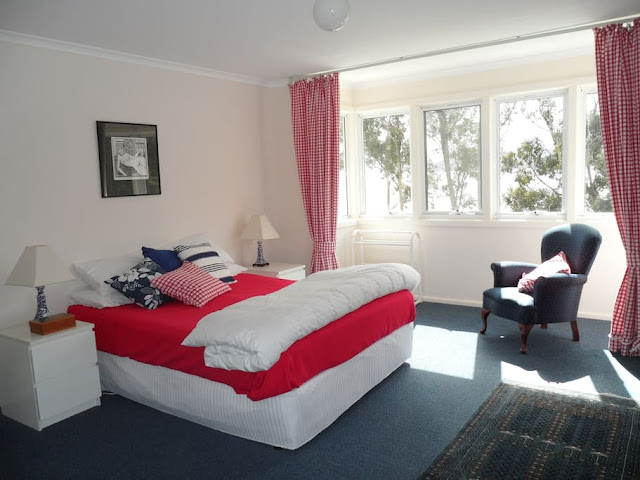 We'll have 40 days between both cruises during which we'll stay in a property in Manly, very similar to this house in the Huon Valley where one area is occupied by the owner and another full apartment with all facilities constitutes the rental portion. Oddly, when we lived in Trinity Beach, Australia beginning on June 11, 2015, we stayed in yet another similar property whereby we lived on the fully equipped main floor while the owners occupied the second level. 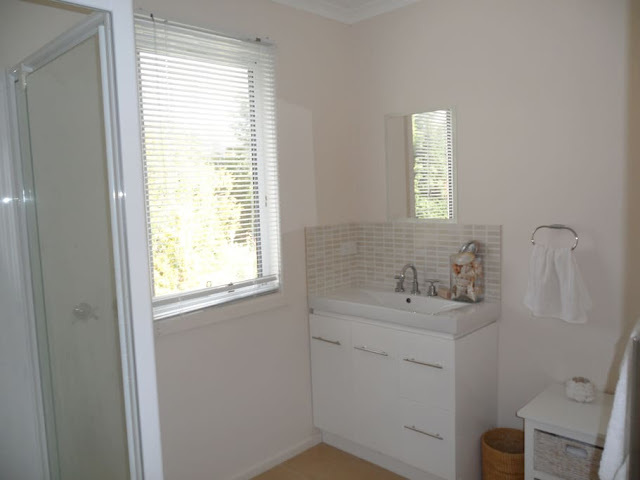 Overall, we prefer to live in a single family home for the added privacy but with costs so high for rents in Australia, these types of situations have been our only sensible option. That's not to say that any of the owners intrude upon our privacy in any manner. They have not. They've been kind, helpful and available when needed. 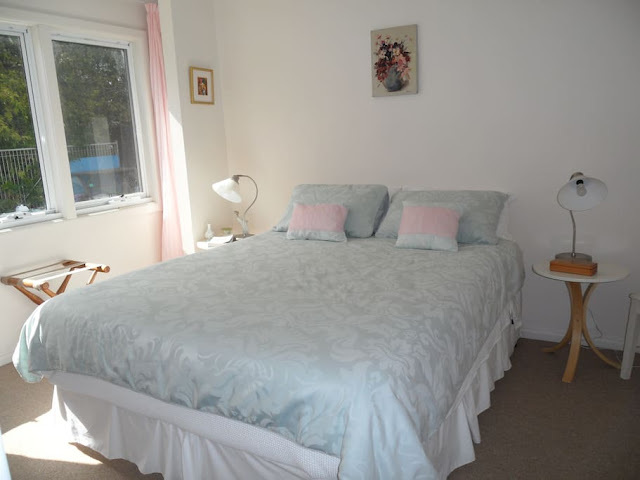 Anne and Rob, our landlords for this property have been exceptional, making many efforts to ensure we had a pleasant stay and undoubtedly, we have. Plenty of amenities and gadgets are available in this kitchen, making cooking a breeze. When I needed an item, Anne quickly provided it, such as a big mixing bowl, baking pans, hand blender. 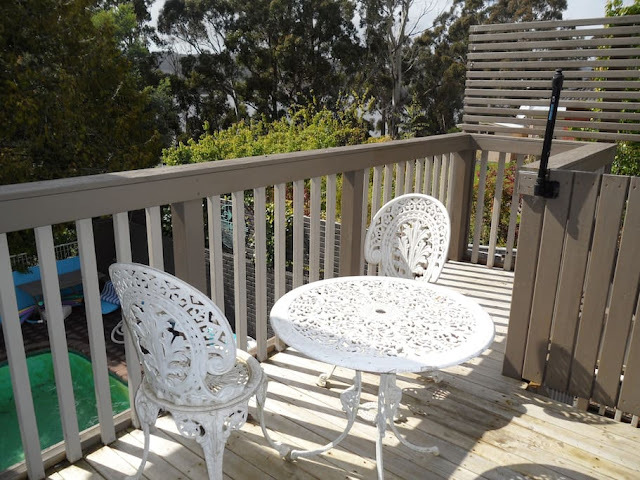 The property is in perfect condition with no obvious repairs, painting or replacement needed. Everything works. The furniture in the living room has been comfortable especially when we've spent more time staying in due to my recent illness during these past six weeks than we may have spent in other areas. Previously in Penguin, Tasmania when I wasn't as ill, we were often out and about, walking, exploring and seeing the local sites and points of interest. Here in the Huon Valley, we've only done as much exploring as our 100's of photos indicate, not every day but at least once or twice a week. The view when sitting on the sofa in the living room which includes lots of games, books, and decor items. 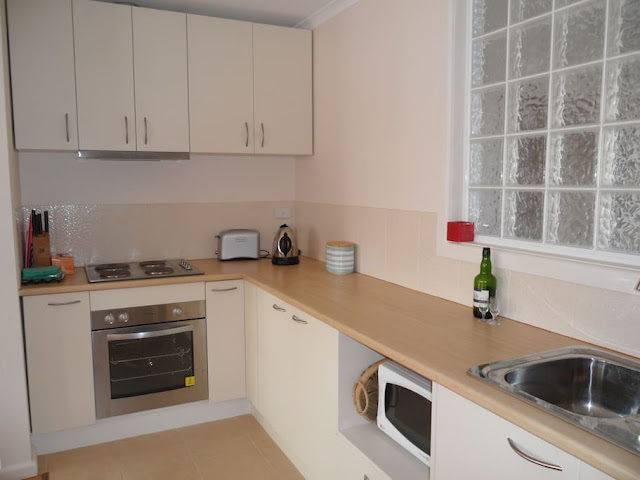 The house is well equipped with suitable dishes, flatware, pots and pans, kitchen utencils and gadgets. Even the cupboards contained a variety of teas, spices, oils and other products, similar to those in Penguin. The bed is comfortable along with the bedding. A poor quality or flimsy sheet pillows and blankets situation can totally ruin an otherwise comfortable bed. But, here, the bedding was of the utmost quality, the pillows comfortable, the covers suitable for a variety of weather conditions. We've kept our luggage in the second bedroom which is located on a lower level. Anne and Rob invitied Tom for his first fishing-on-the-ocean experience which he thoroughly enjoyed leaving us with enough fish filets for a few meals. We coated the filets in beaten eggs and coconut flour pan frying them in coconut oil, our favorite way to eat fish. The availability of fresh produce plucked from the abundant garden was a huge perk we'd never expected. I was particularly thrilled when I was able to make salads using celery, cabbage and greens from the garden. Tom, who's favorite vegetable is green beans, enjoyed them with many meals. The Wi-Fi here, although tricky over te first few days of our arrival, ending up working well for us. With the 400 gig allotment each 30 days, at night we were easily able to stream HBO's Game of Thrones entire six seasons. On only a few rare occasions did we have to await the return of the signal when it slipped away momentarily. Although we watch little TV, we've been able to check out local and some world news from time to time. During the day when we're in, we may have news on in the background but neither of us pays much attention. 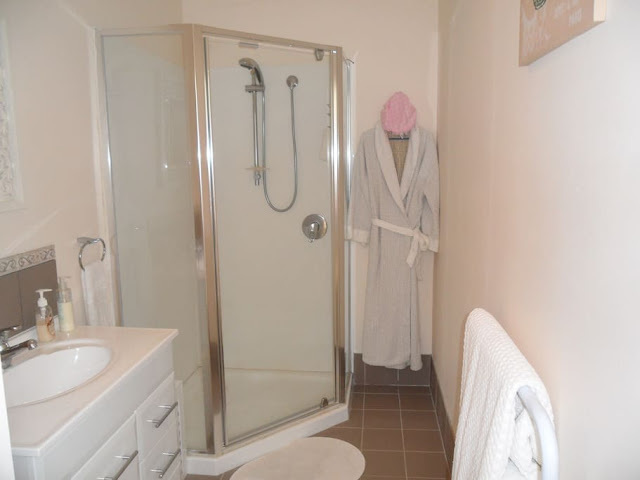 It has been delightful to have fluffy robes to use while here as shown in the second en suite bathroom. Both bathroom have heated towel racks but we've never used them. Right now, snippets from the Academy Awards Red Carpet event is on. The awards show will be broadcast live from 12:30 pm to 4:00 pm. Since we've seen none of the movies, we have little interest in the awards show itself. The grounds and the pool are beautifully maintained by Anne and Rob, who are also retired, spending considerable time working and maintaining the property. 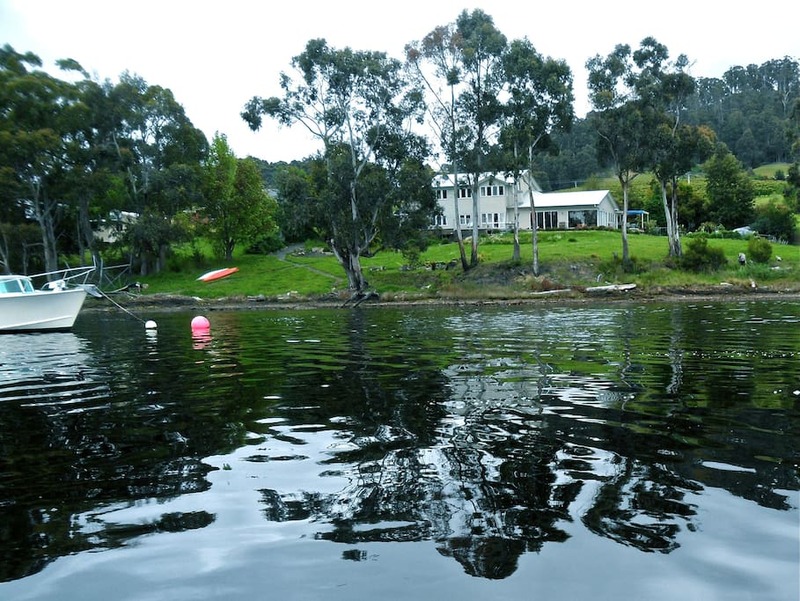 The views of the Huon River is breathtaking as shown in a few of today's photos and many photos over the past weeks. This is the master bedroom which now has a sofa by the windows. We'd highly recommend this property to any travelers. For information, click here and they'll respond quickly. Also, feel free to contact us with any specific questions that perhaps only a renter would experience. Thanks to Anne and Rob for an extraordinary stay at your lovely property. We've already written positive statements in your "guest book" and over the next few days, post reviews online. The master bath has worked well for us. My single suitcase is already packed with the exception of the items I've been wearing the past few days. Tomorrow, Tom will pack his clothing while I pack the third bag with miscellanous items we'll collect from around the house. Tomorrow, I'll briefly report on my condition after today's final contact with Dr. Angela Retchford in Geeveston. On departure day in two days, we'll include the total expenses for the six weeks we spent in the Huon Valley. Tom was excited to see this Minnesota State Trooper vehicle when we toured AmeriCarna in New Zealand last year on this date. How ironic! For more photos from the car show, please click here. Young woman riding a horse in the country in the Huon Valley. As far as scenic beauty is concerned both Penguin and the Huon Valley are stunningly beautiful. Although a common theme of exquisite countryside is prevalent in both areas, the towns and local communities vary greatly. If a travelers asked us which of the two would be most appealing for a holiday/vacation of one or two weeks, their personal tastes and preferred activities and expectations would be of first consideration. Beyond that, there's an obvious difference of scenery; Penguin has breathtaking ocean views and nearby beaches; in the Huon Valley one only need drive about 40 minutes to arrive in beach towns with some of the whitest sand we've seen anywhere. Dirt road we traveled in the countryside. Penguin has the opportunity for sea fishing and boating while in the Huon Valley fishing may be experienced on both the Huon River and out to sea as Tom experienced a week ago. It was his first time fishing on the ocean. In regard to day to day easy activities such as walking, shopping, and perusing local business on a boulevard, Penguin has a lot more to offer. The centre of Penguin is enchanting with its quaint shops, cafes and beach town feel. 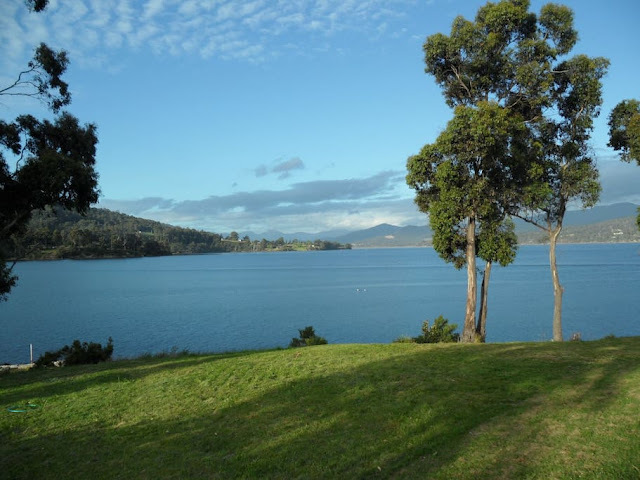 However, there are a number of charming towns within a half hour drive from here in Castle Forbes Bay, such as Huonville, Franklin and Geeveston, all of which we've often visited for shopping, events and photo taking. There are many horses in Tasmania. Huonville is the largest of the three towns where we've shopped during these past six weeks although, there are some options for shopping in Franklin and Geeveston. If a tourist is interested in purchasing souvenirs in the area, the best spot would be at the Visitor's Centre as we described in this post on February 5th when we stopped to check it out. We weren't disappointed with their wide array of interesting items and of course, their Honey Pot which was over-the-top. This is a must see spot when in the area. In the Huon Valley, based on where we're living in Castle Forbes Bay, its not as easy as heading out for a walk when our house is located close to main Highway A6. Walking on the winding narrow road is risky with many blind spots. This part of Tasmania is surrounded by hills and mountains with a massive river at its core, thus the Huon River and the Huon Valley. There are a number of out of the way country roads and paths one may choose to walk but since this is a "valley" most of the walking requires up and down steep hills which may not be suitable for all travelers. We won't get into all the various tourist attractions in either area. Its easy to check out TripAdvisor for information on activities in Huonville and surrounding areas here. For options for Penguin, please click here. Had we arrived a month or two earlier, the hilly countryside would have been a lush velvety green. There are many other tourist websites with endless options for exploring and experiencing scenery and indoor and outdoor activities in either of these two lovely areas. As for friendliness, they both are some of the most friendly areas we've visited in our travels, comparable to Kauai, Hawaii and Marloth Park, South Africa, our previously two favorite "friendly people" places. Clear blue sky days are at a premium in the Huon Valley during the summer months making locals are giddy with enthusiasm on warm sunny days. Tomorrow, we'll share details of this lovely property with photos, links and the comfortable experience we've had staying in this well equipped and maintained property. The pair of alpacas were placed in a smaller paddock for the purpose of mating. Notice the others looking on with considerable curiosity. For more about photos and a video of mating alpacas, please click here. Boat anchored on the Huon River with hazy mountain backdrop. We've begun to think about packing, particularly me. Yesterday, for the first time in many moons, I ironed two of my shirts and one of Tom's. Why did we ever buy anything requiring ironing? At the time of purchase, we thought they were "wash and wear" based on the washing instructions. I'm getting low on clothing with many items having worn out so I've resorted to ironing my two items to add to my limited wardrobe for the upcoming cruise in four days. Tom is down to six shirts, plus the one white dress shirt I ironed yesterday, suitable to wear to dinner in the ship's main dining room. During the day he wears tee shirts. His wardrobe is also shrinking along with mine. In three months we'll be back in the US with a plan to purchase a few new clothing items to replace those we're ready to toss. There are no clothing stores in Huonville other than two second hand shops and it makes no sense to replace our old clothing with someone else's old clothing. Over this past six weeks, I haven't felt well enough to go shopping in Hobart which has a few malls and many shops. For me its been tricky buying clothing in Australia when sizing is entirely different, pants are too short and styles suitable for travel aren't necessarily available. We prefer solid colors since they may be worn with any of our pants, dressy or casual. In most of the stores here, shirts are more colorfully patterned or flowery which has never been quite my style. Nor does Tom care to wear brightly colored or patterned shirts. I've begun packing a little earlier than usual with this illness and during the heavy antibiotic dosing period which has made me feel a bit lethargic. A little packing each day seems to make more sense right now. Haze and humidity in the hills of the Huon Valley. I've had some improvement (day four of seven on the medication) but I'm definitely not 100%. Much to our enthusiasm, yesterday I was able to eat a normal sized portion of our entree and a small salad which I hadn't been able to do since early December. So maybe it is improving. Tom never packs until the day before we depart when its become necessary to weigh our luggage to ensure we don't exceed the 23 kg (51lbs) the airlines allows on the first checked bag (each) with a premium paid for our third bag containing necessary supplies. We're flying to Sydney on Virgin Australia which only charges AU $35, US $26.85 for the third bag, an amount we're thrilled to pay as opposed to considerably more on other airlines. Wild vegetation growing along the river bank. Tonight, we'll watch the final episode of season 6, Game of Thrones, having loved every single episode. Its been a nice respite from thinking about my condition when each evening we've watched a few episodes. Now, we can cancel our month-to-month HBO subscription (ending on the 26th) and will re-join to watch season 7 once we get to Costa Rica next August. While in the US, with six weeks spent in Minnesota and three weeks in Henderson, Nevada, we won't have time or interest in watching any shows or movies, other than perhaps a movie or two with the grandchildren in MN. Single lane bridge in the countryside. Its hard to believe we'll arrive in the US mainland on May 15th, less than three months from now. Two days later on May 17th we'll board the Alaskan cruise which ends on May 26th in Seattle. From there we'll fly to Minneapolis. We'll be arriving in MN on Friday evening of Memorial weekend, a busy travel period. Once I upload this post, Tom will do the proof reading while I get ready to go out. This will be the first time we've been out since Monday, very unusual for us. We're heading to Huonville for a few grocery items and a new batch of probiotics to avoid running out on the cruise. Pasture on a sunny day. But for now, we're anticipating the less than two hour flight from Hobart to Syndey in a mere four days. My prepping and packing will continue at a snail's pace over the next few days which this time, I don't mind a bit. Have a lovely weekend, wherever you may be! This "piece of art" in New Plymouth is playfully typical of Kiwi's great sense of humor. For more interesting New Plymouth, New Zealand photos, please click here. Over these past several years we've received many wonderful comments on a variety of our past posts. Some readers may read our posts out of chronological order or start from the beginning on March 15, 2012 when we first began to write about our lives of world travel. Now, 1674 daily posts later, we're often amazed by how readers from all over the world continue to read our old posts, often commenting on any given post or in sending us a thoughtful email. Many of our readers write into the easy-to-use "comments" section at the bottom of each post, and may if chosen may stay anonymous. However, we find many readers don't hesitate to leave a first name (and occasionally their full name) when they post a comment. If you've never commented, please feel free to do so. We always reply within 24 hours (at the latest) and your comment remains on that post for all of our readers to see for years to come. Caravans parking in Franklin for Australia Day festivities which we attended last month. 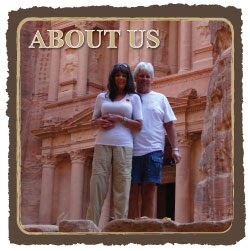 For many, with more personal comments in mind, they prefer to email us at the links provided on our home page, on the right, above the photo of us in Petra, Jordan. Clicking either of these links takes you directly to the email app on your device and you can write as you would in writing any email message. We won't post your email message without your specific approval. Most often your email will reach us promptly providing we have a good Internet connection. We check our email throughout each day but a response may be delayed if it arrives while we're sleeping. Before posting each day, I take a peek at my email but seldom respond until after I've completed the day's post. I awake on a mission to get the "ball rolling" as soon as I'm showered and dressed for the day. Houses scattered throughout the countryside in the Huon Valley. Of course, as mentioned in a post a few days ago, the exception to our posting and/or replying to comments and email may occur on specific travel days, especially when we don't have access to Wi-Fi while awaiting a particular means of transportation. Yesterday, we received this lovely comment from one of our readers who's apparently begun reading our posts from the beginning. "Ah Jess....I know I am reading them years after the fact, but your posts and photos are breath-taking!! I love them! I've been trying for years to convince Ernie to agree to an African safari - he's too concerned with our safety to try it, but I'm still working on him!!" Upon reading this short comment at the end of this post, I could hardly wait to write back to Laura to thank her for her kindness in complimenting our posts and photos. But, the comment Laura expressed over her husband's hesitation to go on an African safari reminded us of five years ago when Tom was equally concerned over the safety of a safari and even moreso, living in Africa for almost nine months. Our family was even more worried that we were getting in over our heads when they'd read and heard of countless stories about horrific events occuring in many parts of Africa, some as a result of animal encounters and other incidents. But, they were more concerned as to our vulnerability of becoming victims of crime. A neighborhood in the Huon Valley. We've never taken these facts lightly but, as has been the case for most travelers there are always precautions and concerns over traveling beyond the comfort zone of their home environment. Nowadays, there is no place in the world that is entirely safe; from the elements, terrorism, crime, accidents, illness and wildlife. Back then, before we began traveling we'd discussed these concerns in depth. Mainly, I was trying to assure Tom that although the risks were higher in some parts of the world, such as Africa and the Middle East, we'd exercise the utmost of caution. For example, in Kenya, where carjackings are common, we used a local driver to take us wherever we desired thus reducing the risks. Kayaker on Huon River near a moored sailboat. As we look back at our old posts, we can't help but experience the most profound of emotions over the fact that we took those risks to see parts of the world previously only in our dreams. When a year from now when we'll return to South Africa (with more other African countries on the horizon during our extended stay), our hearts thump with enthusiasm. This will be the first time we've returned to a country for an extended stay hiatus in order to explore Southeast Asia. As it turned out, we really enjoyed the second two months in Bali at the fabulous villa on the ocean. Franks, a small cider restaurant and shop. We had returned to Bali due to its close proximity and easy flights to Sydney, Australia from where we'd booked several cruises. Our return to Africa next February is for an entirely different reason...we wanted to return while we're still able, young enough and hopefully healthy enough to embrace the many exciting opportunities awaiting us. So, today, I thank Laura for writing and inspiring today's post which included to our own past concerns which ultimately ending with the gift of great memories that we gleaned from the extraordinary experiences. Have a memorable day and be safe. Tom standing outside the shopping mall in New Plymouth, New Zealand last year. For more photos, please click here.